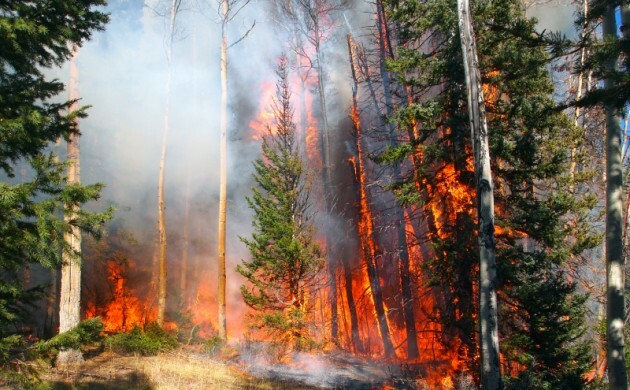 Considerable forest fires in Russia have had a huge impact on public health and ecosystems in the Nordic nations, according to a report from the Nordic minister council Nordisk Ministerråd. The report, entitled ‘Air pollution in the Nordic countries: From biomass burning in Eastern Europe’, encourages Nordic politicians to assist Russia in limiting the fires and getting the Russian farmers to stop burning their crop residues, which is the current practice. High levels of soot, tropospheric ozone and nitrogen were measured in the air in the middle and northern parts of Scandinavia and Finland as a result of a forest fire that burned a 20,000 sqm area in Russia in 2006. New measurements have indicated that the forest fires have been continuing. “The area that burned in 2006 was not exceptionally large compared to other forest fires in the following years,” said Per Erik Karlsson, one of the researchers behind the report. “But the fires in recent years haven’t coincided with the same weather conditions. Because of special weather conditions – a powerful high-pressure front over Russia – the fire in 2006 led to polluted air being pushed northwest towards Scotland and Finland and all the way to Iceland and the Norwegian archipelago of Svalbard. For years, Nordisk Ministerråd has supported co-operation projects between Nordic and Russian air quality experts as air pollution has become a bigger challenge in the Baltic area.